Home » Denmark » Denmark Immigration Requirements To Be Met? This entry was posted in Denmark Denmark Immigration and tagged Denmark Denmark Immigration Green Card Visa on May 4, 2015 by Blog Author. Have plans to migrate to Denmark? Do you know Denmark Immigration requirements? Well, do not panic. You are at the right place, where you will be able to find complete details of the immigration process for your dream destination. Denmark is relatively a small nation with low population and ample job opportunities. The Nordic nation is a hot immigration destination and thanks to its sound economy and laid back lifestyle. The country has so much to offer to the immigrants and thus, it welcomes overseas nationals to migrate as well as work. Individuals, who would like to explore the better career opportunities in the Nordic nation, must obtain a Danish Green Card which is basically a point’s based system. Under this Greencard scheme, individuals are allotted points based on the personal and professional factors. This card enables skilled immigrants to reside as well as work in the nation for a period up to two years, and before the end of visa validity, individuals can extend their visa for an additional three years. Effective from 1 January 2015, Nordic nation has made few amendments to the scheme by introducing a special version of the Greencard scheme for international students. Unlike the previous scheme, as per the new reforms, points will be awarded based on the three factors such as Education level, language skills and adaptability. Have a look at the aforesaid requirements and understand, in order to implement them while lodging the application for Danish Green card. 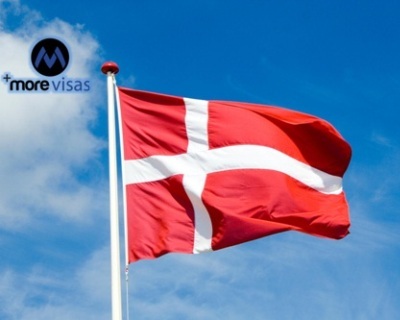 If you are interested to migrate Denmark, fill out our Enquiry Form, so that one of our visa expert wil get back to you. but I do not understand about " for an extension, you have earned the average salary (of the public and private sector) for new graduates with a Bachelor's degree. In 2015, the required amount is DKK 319,725." can u please explain ???? Dear Ferhan, thank you for your responce. Forward your resume to [email protected]. So that one of our visa expert will get back to assist you.